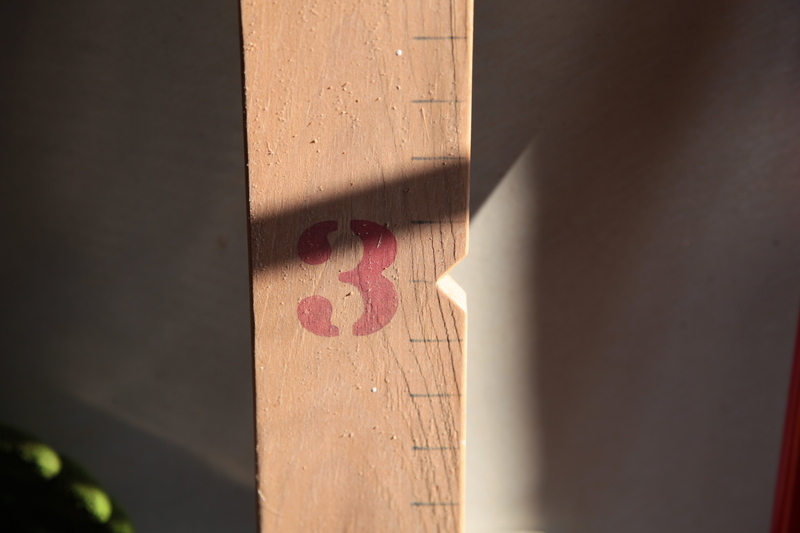 A marked piece of wood / by which children were measured / stands idle, they’ve grown. 12 Apr	This entry was published on 2012/04/12 at 8:04 pm and is filed under Children, Family, Haiku, Life+Wisdom. Bookmark the permalink. Follow any comments here with the RSS feed for this post. Older: Lovely violets / hope to finish flowering / before lawnmower. Newer: Friday the 13th / a day for putting yourself / in the way of luck. How do you do it? You capture universal human feelings with your poem and photo in such a unique way. The haiku needs the photo, and the photo needs the haiku. They work so well together to express every parent’s bittersweet experience of kids growing up.